Designed to support more of your IT needs for longer periods of time, the FAS2600 family of hybrid-flash storage arrays provide more value for your money than any other systems in their class. FAS2600 simplifies the task of managing growth (both in-house and in the cloud) by providing support for a broader range of workloads along with seamless scaling of performance & capacity. 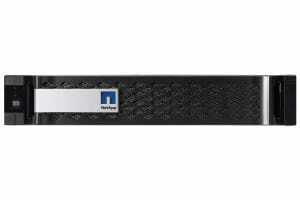 With proven integration to the cloud, you can leverage external storage resources to protect data and handle dynamic storage needs, For growing organizations concerned about budgets today and meeting challenging IT needs in the future, the FAS2600 is a great choice for your data requirements.